While most non-profit organizations enjoy and are aware of the exemptions from federal and state income tax, fewer such organizations are aware of the regulations that surround sales tax exemption for non-profit organizations. Simply being exempt from income tax does not make an organization automatically exempt from paying or collecting sales tax. There are a number of important items to consider when exploring the regulations surrounding sales tax for non-profit organizations. Below are some of the major considerations to keep in mind. Probably the most important factor to consider is the state in which your non-profit organization is headquartered, and all of the additional considerations mentioned are part of what varies by state. General laws regarding whether non-profit organizations are exempt from sales tax also vary by state. Some states grant broader sales tax exemptions to non-profit organizations than other states offer. 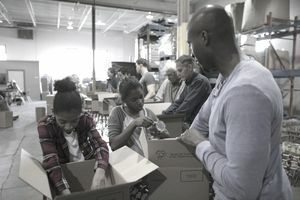 In some states, the non-profit organization is exempt from sales tax in most cases if the transaction is related to the charitable purpose for which the non-profit was created. In other states, whether there is an exemption depends on how many sales the non-profit organization makes or pursues in a given year and what the nature of those sales is. Something else to consider is what type of non-profit your organization is. The IRS (while regulations surrounding sales tax exemption vary by state, the federal government is the agency responsible for granting general non-profit status to an organization) recognizes nine major categories of non-profit organizations along with other miscellaneous types of non-profits. Just some examples of types of non-profit organizations are those that exist for religious purposes, those that exist to promote social welfare and those that are social or recreational clubs. In many states, whether you qualify for a sales tax exemption will depend on what type of non-profit organization you have. If your non-profit is located in one of the many states that require non-profit organizations to apply for a sales tax exemption, your organization will need to obtain a sales tax exemption certificate. Visiting the division of taxation website in your state or the charity registration bureau will help you get started on the process of applying for a sales tax exemption certificate. In some states, you will receive a physical copy of the certificate that you can provide to businesses you make purchases from to receive an immediate exemption. When you apply for your certificate, you will need to supply information about your non-profit organization such as its name, address, what type of non-profit it is, proof from the IRS that it is a tax-exempt organization, its articles of incorporation, its bylaws and possibly other information. One final item for non-profit organizations wondering about sales tax exemptions is the difference between paying sales tax and collecting sales tax. When your organization makes a purchase from a vendor, it may or may not have to pay sales tax to that vendor depending on the laws in your state as well as the other considerations mentioned. When your non-profit organization sells an item to someone, it may have to collect sales tax depending on the same laws and considerations. Understanding this difference is important because while a non-profit organization may be exempt from paying sales tax, this exemption may not extend to collecting sales tax on items it sells. The rules surrounding whether this collection is necessary can also depend on the type of item that is sold. Tangible property may have different rules from intangible items such as memberships. Something else to consider is that the IRS may view income from sales to be "unrelated business income," which may also be taxable. To sum things up, whether your non-profit organization is exempt from sales tax depends primarily on the state in which the organization is located. Other factors to include are what type of non-profit organization you are operating and whether there is a difference in your state for exemptions regarding paying sales tax and collecting sales tax. Since non-profit organizations are responsible for their own knowledge regarding sales tax exemptions, it is important that your organization does research on the laws in your state and consults professionals when necessary. This will help ensure that your non-profit organization stays on the right side of the law when it comes to sales tax. What Should You Consider When Making Pricing Decisions?